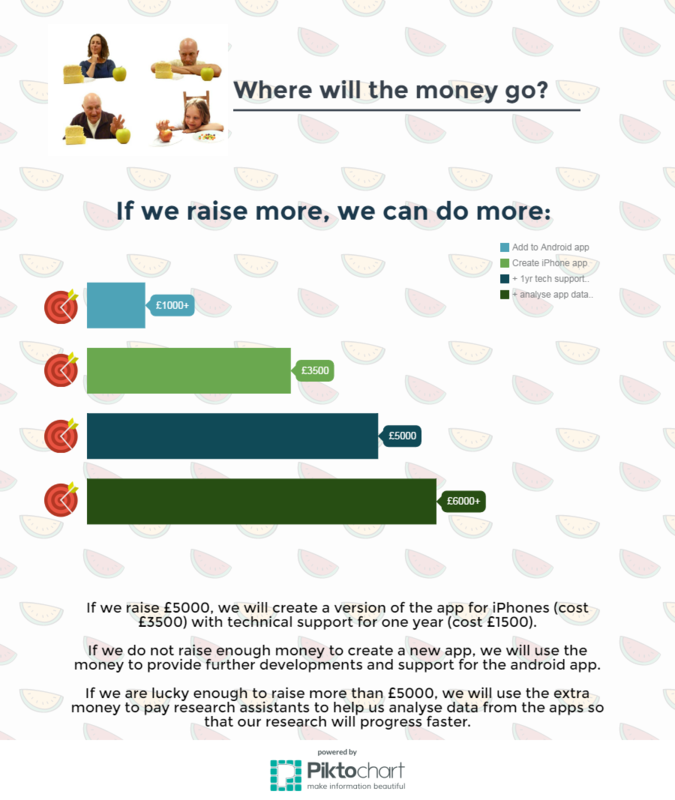 We're raising £5000 to develop a free iPhone version of our FoodTrainer (FoodT) app. Our app is a simple computer game that trains users to respond to healthy foods and resist unhealthy foods. 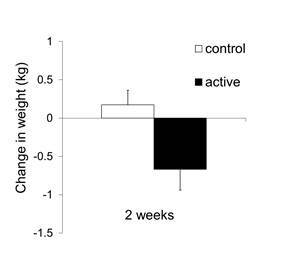 Research by our team and others shows that playing the game on a computer helps people to eat less and lose weight. We want to see whether playing it on a mobile phone (as an app) is also helpful. We have developed an app for android phones, thanks to the generous support of the University of Exeter. We now want to raise £5000 to develop a version for iPhones. 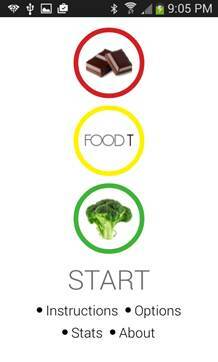 We will then be able to share our FoodTrainer app for free with more people to see whether it helps them. My name is Natalia Lawrence. 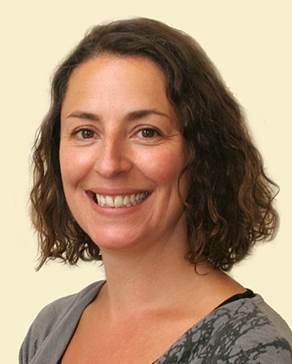 I'm one of a team of Psychologists from the University of Exeter developing and testing new interventions to help people resist unhealthy foods. Our team includes several academic staff and students from the University of Exeter. We work in collaboration with researchers at the University of Cardiff and beyond (in the US, Australia and the Netherlands). What is different about our research? Many people struggle to resist tempting, unhealthy foods and drinks and maintain a healthy weight, despite having the best intentions and knowing what they should do. There is no shortage of advice about what to eat, diets to follow or apps that help you track your exercise, weight and calorie intake. However, none of these things target the impulses that drive much of our unhealthy eating. These impulses can be triggered automatically by foods or other cues and can be very hard to control. Our team of psychologists has spent years studying brain reward responses and impulsive behaviour to come up with a different approach to weight loss. Over the last five years we have developed simple computer games that aim to train people's automatic responses to foods. Early research findings are encouraging - when people are trained to repeatedly 'stop' (not respond) to unhealthy foods in the game they subsequently eat less, report liking the foods less and lose weight. You can hear more about our published research findings here . Following positive user feedback and requests from hundreds of people who have tried our online training, we have developed our FoodTrainer (FoodT) app. The app allows users to select which foods/drinks they want to train themselves to resist and collects anonymous data on weight and snacking to help us work out whether the app is helpful. You can find out more about the app and how it works here or by watching the short video at the bottom of this page. We need your help to create an iPhone version of the app with technical support. We want to make this app available for free to as many people as possible. Fantastic news – FoodT has been awarded an Open Innovation award by the University of Exeter! This award means we will have £500 extra to help develop the iPhone app, AND additional money to employ a research assistant and give technical support. Your donations are still essential to create an iPhone app - helping more more people to access and benefit from FoodT training. Combined with the Innovation award the apps can be maintained and improved - for enhanced research and FoodT training during the year! Every £1 makes a positive contribution to our research. Please check out the rewards to thank you for your help on the right hand side. You don't need to give money to help us succeed! Please share this project with anyone you think would support us – on Twitter, Facebook, LinkedIn, by email, telephone, in a chat over the fence or on your blog. Thank you!